As Time-Recorder tagged employees record their Working-Hours due to entering duration, start- and endtime within the Time-Recording-View. 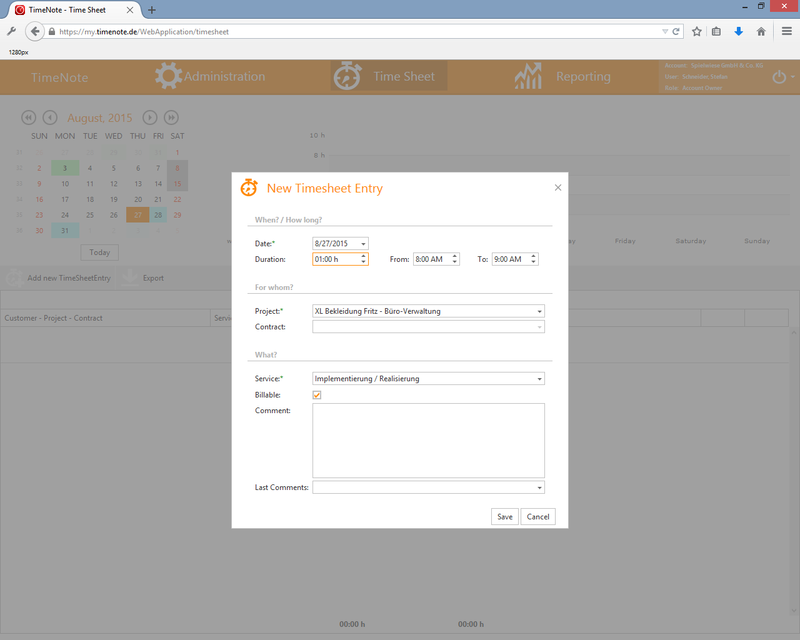 Additionally it’s necessary to assign those tracked times to a project as well as a specific order. One can choose the art of accomplishment from a given spectrum and can also define if the work was billable or not. Of course there's also place for an additional note. In the evaluation section, all of the billable hours of an employee will be calculated with the hourly rate. so that it is possible to review the sales of one's employee.